Why should I use trusted-doctor.com? Do I have to use my Facebook or Google account? They excel in area of cloud collaboration, web-appointments, patient education and most importantly in bringing trust and confidence for both doctors and patients. To be a trusted doctor, they need to have good references and work history. Every doctor’s credentials are manually verified before they are allowed to be part of trusted-doctor ecosystem. Every trusted-doctor gets their own personalized profile page, This helps doctors in getting high visibility on internet and on other websites like Google, Yahoo, Bing, Facebook etc. Why do doctors need an	invitation code to join? Do you have something for patient education? Yes, we have a comprehensive library of video links, which you can show to your patients. How can I invite my staff or other dentist to my office? How do I tell people that I am	a trusted-doctor? Go to “My Profile” page, complete all the information. 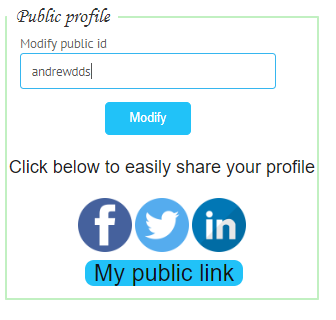 You can see a public profile option, you can choose your public profile id, and then simply click on icons for Facebook / Twitter / LinkedIn This can help you increase awareness to your followers that you are a trusted-doctor. People can click on those postings to take appointment from you. How can I increase my trusted-doctor score? Give appointments to your patients at the earliest. Give an excellent service to your patients. Their reviews would help your score. It's that easy. We want world to recognize good doctors. 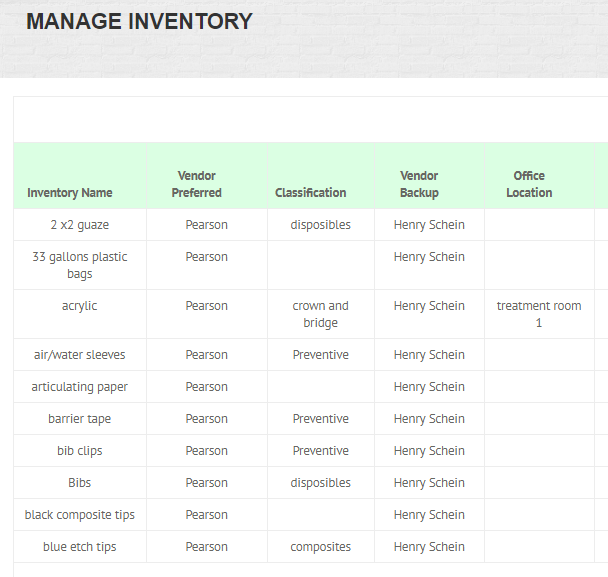 Can you help me with inventory	management? How do I give review about my experience with trusted-doctor? How easy is to take appointment from Trusted-doctor?